Now, summer is here. Exam sessions are over and kids are enjoying a relaxed atmosphere. But for many children, summer means long, lazy and boring days, when there is nothing to do. 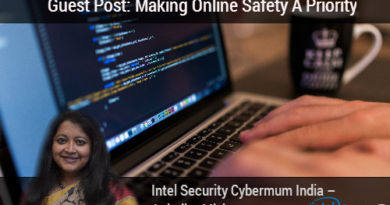 It is often tempting to use electronic gadgets to keep them engaged, but in the true sense holidays are an ideal time for spending quality time together. Kids are innocent learners and I always try to teach them good things in simple manner. We love reading and crafting as a family. Creative activities are the easiest way to develop imagination power and critical thinking skills in kids. These activities play a great role in their emotional, social and cognitive development. The bookmark is a perfect craft that goes well with both reading and crafting activities. It is ‘a strip of leather, cardboard or any other material used to mark one’s place in a book’. According to Wikipedia, the earliest existing bookmark dates from the 6th century AD and was made of ornamented leather with vellum on the back. 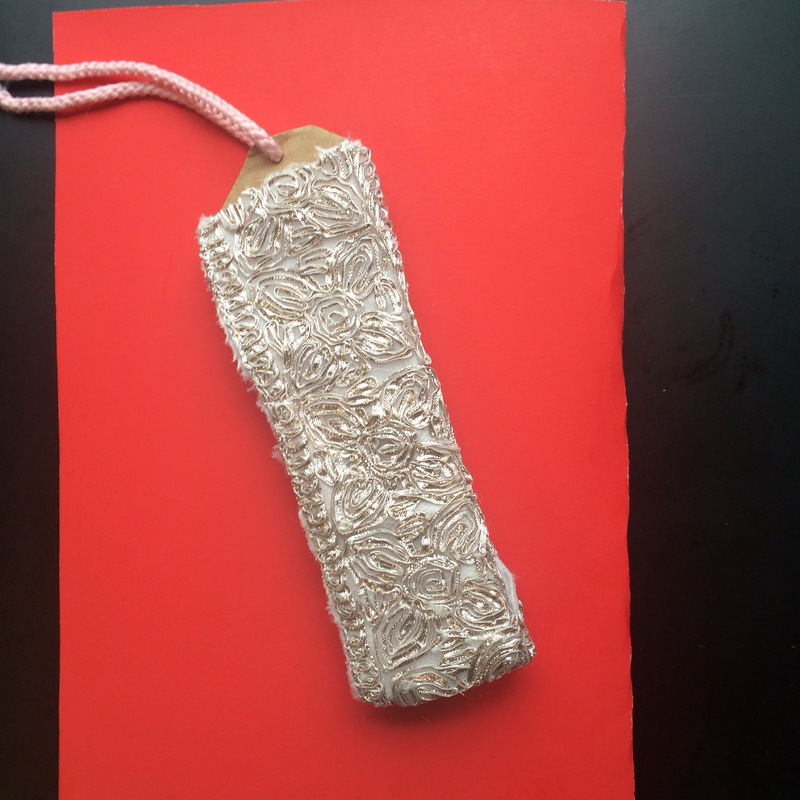 This weekend we thought ‘Why not made a collection of bookmark by using different (available at home) materials?’. 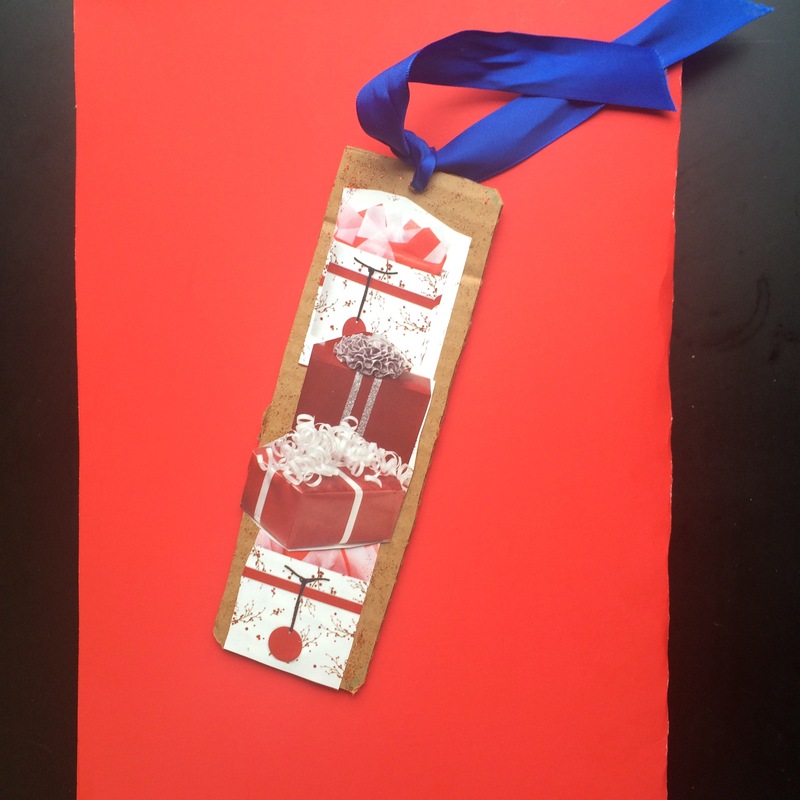 Here I am sharing a cool craft activity- easy DIY bookmarks. Hope you will like it. Instructions: Cut out pictures of anything (which you like) from old magazines, newspapers, even from old greeting cards. We had selected some cute gift box pictures. Cut the cardboard in a rectangular shape. Glue the pictures in an attractive manner. Add yarn or lace at top. A cool bookmark is ready to use. Instructions: Draw and cut different body parts of a snowman on construction paper (white for body and face, red for hat, orange for the nose, blue for a scarf and black for the eyes). Glue these parts on different sheets. Add yarn at the top. Decorate with glitter or other materials. 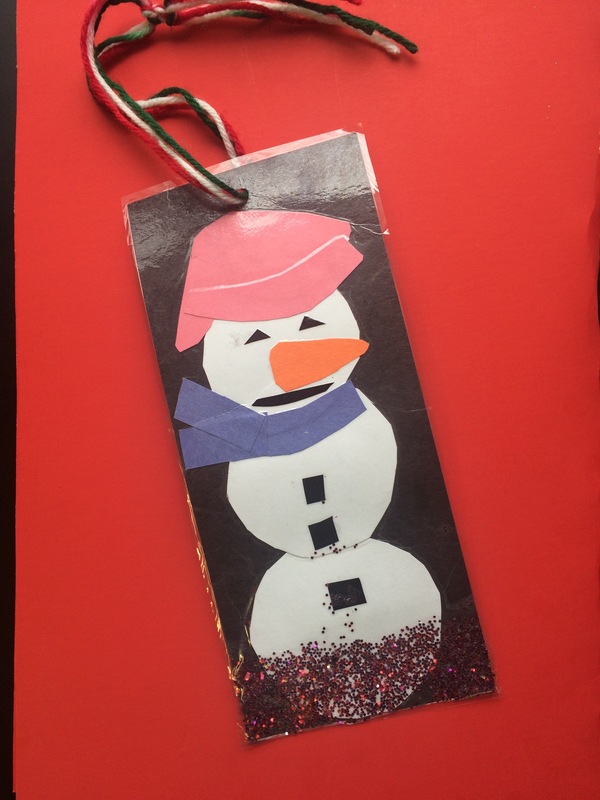 Cute snowman bookmark is ready. 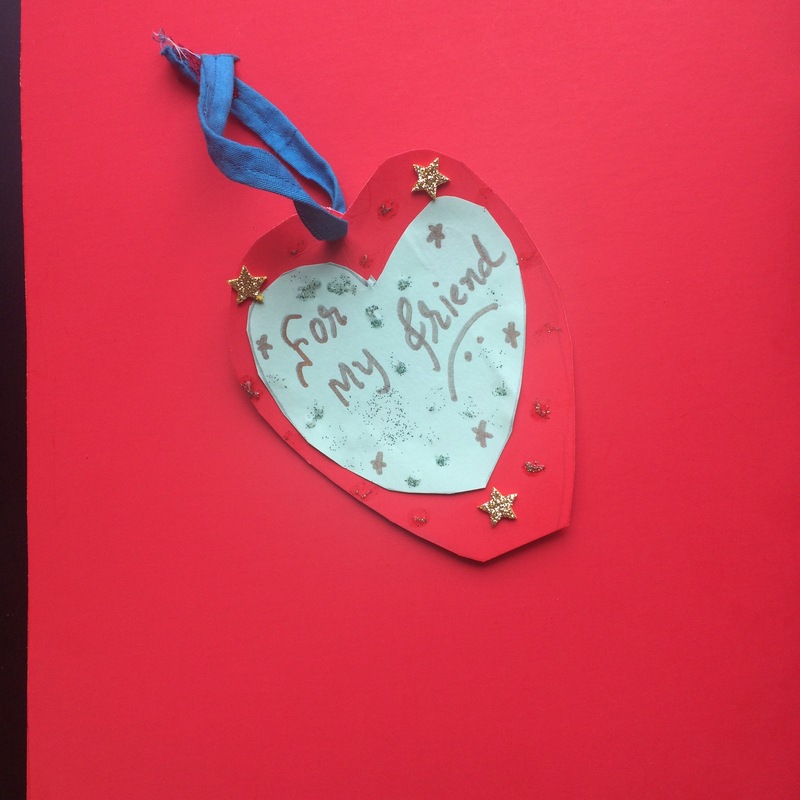 Instructions: Draw and cut a heart shape from a red coloured drawing sheet. Write down any message on the construction paper (cut it in heart shape but in a smaller size) then glue it on the bigger heart. Add yarn or lace at the top. Your beautiful heart shaped bookmark is ready. We all have old fabric scraps at home. Why not recycle it in a creative way? Making a bookmark from old fabrics is a cool idea for that. Instructions: Cut the cardboard in rectangular or desired shape. 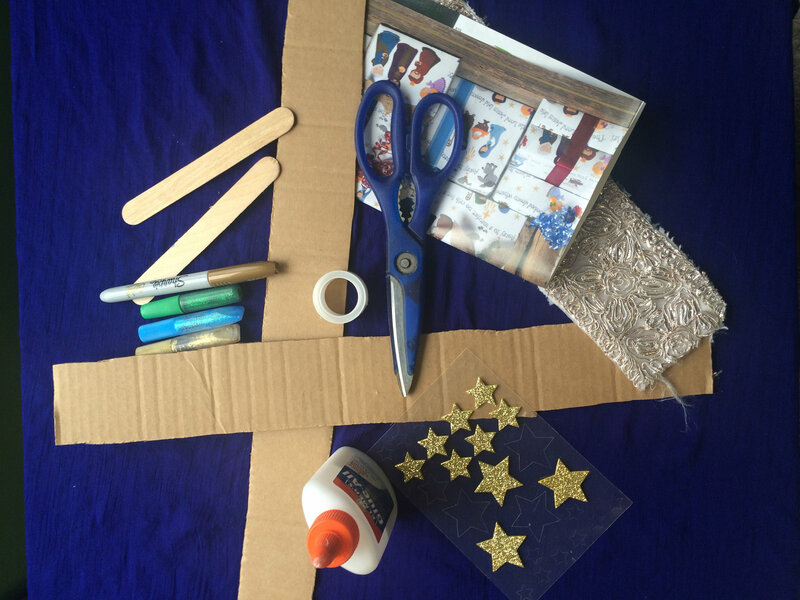 Collect the pieces of old fabric or old lace and glue them on the piece of cardboard in an attractive manner. We had used a beautiful lace from an old dress. Add yarn at the the top. An amazing bookmark is ready to use. Popsicle sticks are most versatile and inexpensive craft materials to create easy crafts for kids. This time we had used it as a base for the bookmark. Instructions: Draw, colour and cut anything from the piece of cardboard. A flower was our choice. Glue it on the popsicle stick. Decorate with stickers or other decorative materials. Add yarn or lace at top. 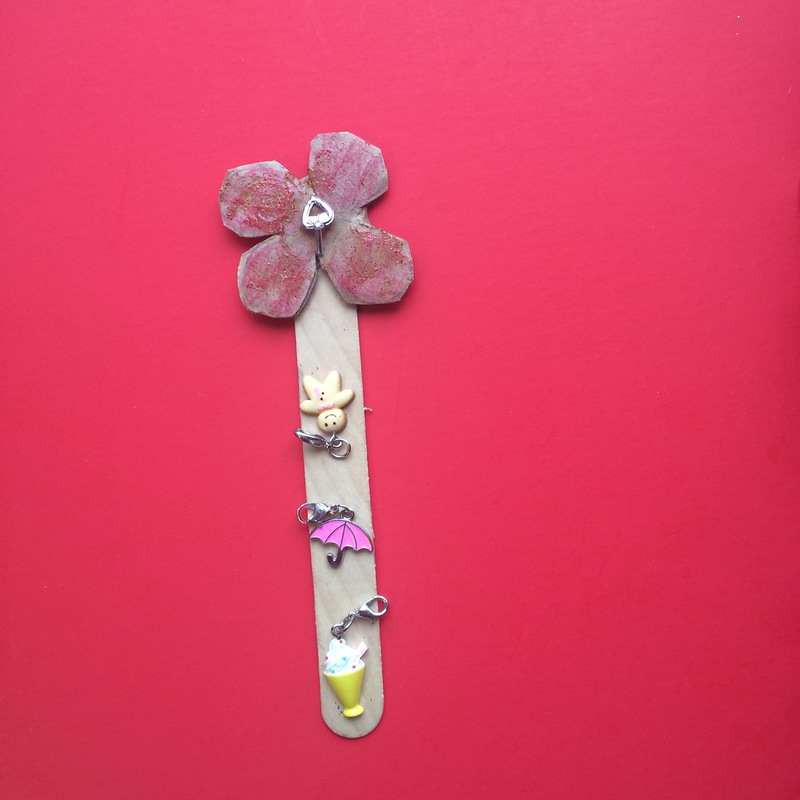 A cute popsicle stick bookmark is ready to use. So these were our collection of bookmarks with different supplies. Do not forget to share if you have any fun ideas for making bookmarks. Until then, happy crafting! So What Do You Do All Day ?